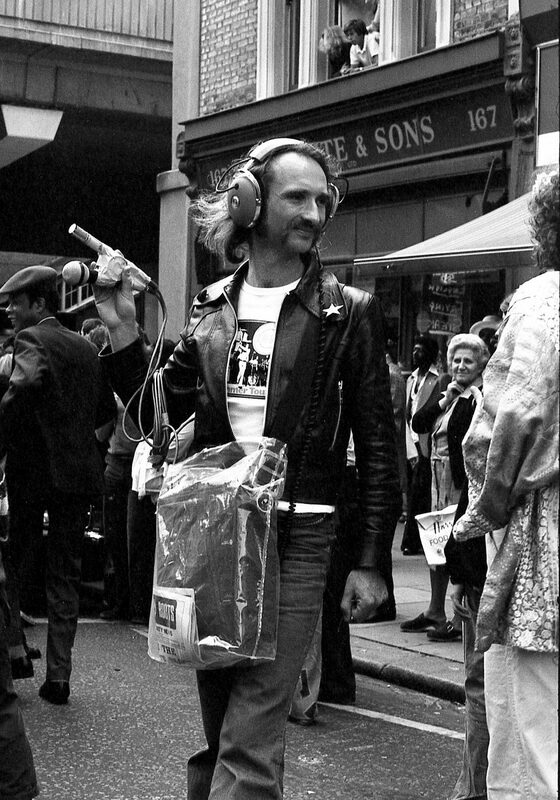 Following the news of Holger Czukay’s untimely death at 79, Getintothis Jono Podmore delves into his bright and experimental career. 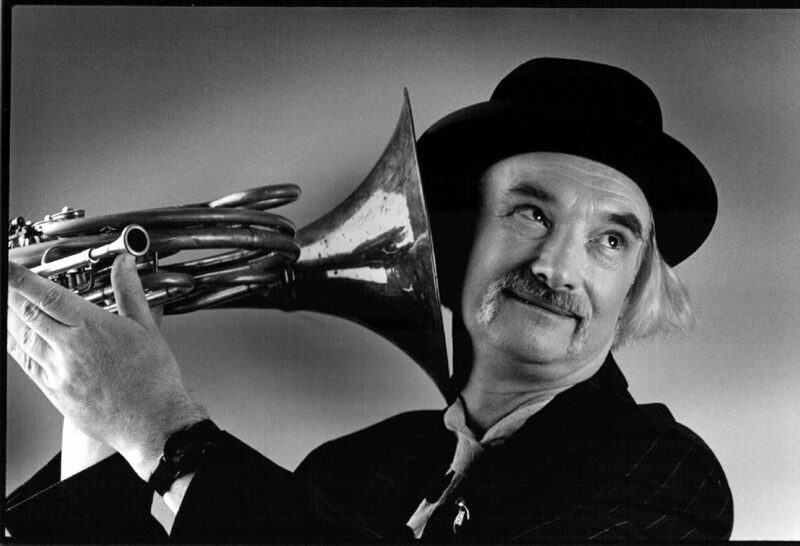 Holger Czukay; March 24 , 1938 – September 5, 2017. Like his colleague of many years and even more albums, Jaki Liebezeit, Holger was a refugee after the war. His mother escaped with him in January 1945 from Danzig – now Gdansk in Poland. According to Holger his mother had tickets for the last ship out of the city but on advice from his grandmother decided to try their luck at the railway station, where they were picked up by train full of wounded soldiers heading for Berlin. This saved their lives: the ship was torpedoed with all hands lost. He was one of the last to get out of Danzig, aged 7. Berlin was little more than a smouldering pile of rubble when they arrived. Like so many of his generation his life was about rebuilding, renewing and reshaping, and as a record producer what he rebuilt, renewed and reshaped was little short of how we hear the world. Not single-handedly, not with out precedent and not without failure, but his work and method puts him in a tiny group of musicians who really expanded our aural culture. As a teenager he worked in a radio repair shop and so set the foundation of the technical skill and working knowledge of electronics that led to his interest in classical Electronic music. While Holger was studying to be a music teacher in Cologne he had the chance to do a short course with Karlheinz Stockhausen. This, in typically Czukay-esque embellishment, gets exaggerated to “studied under”, in reality it was probably little more than a week at the Kölner Kurse für Neue Musik. Conny Plank was with him on the course alongside Irmin Schmidt and David Johnson with whom Holger founded Can in ’68. His technical training meant that when Can began it was Holger’s hands on the tape machines, ring modulators, filters, reverbs, microphones and most importantly, the editing block; creating the new revolutionary pop sound with all with the classical technique he had encountered with Stockhausen in Cologne. Even before Can he had begun using randomly sourced music from other cultures – the primary example being Boat Woman Song from Canaxis 5 composed with Rolf Dammers in ’68 which features Vietnamese singers. Later of course this collage method became known as sampling, at the heart of so much music from the 80’s onwards (more on this here). Sampling; extensive use of varispeed, especially on guitar to produce a bright, ringing sound; rhythms built with tape delays; the dub techniques of Jamaican music; the solid basis of Jaki’s drumming; fantastically fresh mixing; and, a filmic editing style creating a narrative from formless jamming – these elements together define so much of his sound. This is the stuff of genius, leading the way for a generation of producers. Although production was where he shone and perhaps where his legacy will be most lasting, it shouldn’t be overlooked that he was also the bass player in Can when they were at their creative height from 68 -75. 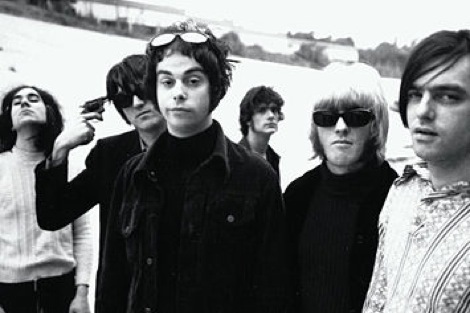 He had developed a technique that would leave room for Jaki’s bass drum to carry the weight of the low frequencies of the music, playing a short scale Fender Mustang and often arpeggiating chords – not unlike a rhythm guitar at times. 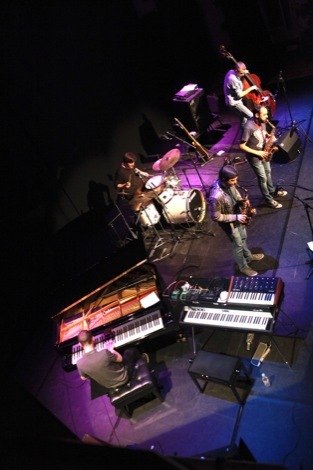 When locked in with the precision of Jaki’s beats, between them they could make grooves that could trundle on forever like a juggernaut. He eventually tired of the bass and moved on to being a sort of on stage producer with Can. Presaging the later DJ/laptop artists, he performed with radio receivers, pre-recorded tapes and a morse code key, treading the path of Stockhausen’s Hymen or Telemusik but firmly in world of popular music. He loved Stockhausen. At one point during his set on the Can Solo Projects tour in 1999, he had a photo portrait of Karlheinz projected on to the screen behind him. At the gig at the Jahrhunderthalle in Frankfurt the screen was huge and Holger left the image up there for a large part of his set – paying homage to the master. There was more than just musical admiration in this. Stockhausen developed a cult following by putting enormous effort into self-promotion as a sort of esoteric prophet, and Holger somehow followed this example. But Holger’s approach was to present himself not as a prophet but as a clown. He would make ludicrously arrogant claims about his genius but always with the twinkle of absurdity and buffoonery about him to ensure we knew he wasn’t taking himself THAT seriously. As a guide to his Dadaistic humour, take a look at the titles and credits on his album Rome Remains Rome. This is pure iconoclasm, the absurdity of the church and German history targets for the Czukay absurdist treatment. He began to play the French horn – perhaps the most uncool, most un-rock n roll of instruments, but with typical Czukay comic inversion he put it in the starring role in one of his most fabulous tunes Cool In The Pool. All those classic production techniques are there. Holger played every instrument except Jaki’s drums, and even produced and starred in the video: the vatican jester proving himself smarter and holier than the Pope himself. As is often the case with clowns – and geniuses – there can be more difficult sides to the character. In the same memoir Wobble recalls that during a session in Cologne working on this seminal EP, Holger informed him that, “You have made two mistakes: the first was being born and the second was coming here!” Fortunately the young Wobble found this hilarious. Holger eventually left Can entirely in ’77, continuing as a producer and solo artist throughout the 80’s, working particularly closely with David Sylvian, Eurythmics, Jah Wobble, The Edge and still relying on Jaki for drums and Michael Karoli for guitar. Other than the album Rite Time, Holger and Irmin never worked together again after the split of Can, their relationship had corroded to little more than tight-lipped acknowledgement of each other’s existence, although Irmin’s wife Hildegard continued as Holger’s manager and was discussing his back catalogue and the preservation of his master tapes with him right up to the weeks before his death. In the 90’s this complex character finally met his match: the singer U-she aka Ursa Major, later his wife Ursula Schüring. They were inseparable, working and living together; Holger claiming in his customary restrained manner that she was the world’s greatest living singer. Ursula had one of the strangest set of social skills I’d ever encountered. The first time I met her she managed to say some remarkably insulting things. I just had to laugh but it was a bit of a shock – I wondered if she thought being insulting was British humour. This was at a gathering before the Can Solo Projects tour mentioned earlier, and over the period of the tour she managed to do the same with just about everybody in the other bands and the crew. But, despite the fact that Ursula was 24 years Holger’s junior, within the dynamics of their own relationship it seemed to work perfectly. They released 3 albums together: Time and Tide (2001), The New Millennium (2003) and 21st Century (2007) but the recordings and performances ceased as Ursula’s health deteriorated. She was bed-ridden for the last 10 years of her life, dying on July 28th this year. Holger had devoted himself entirely to nursing her. They had moved into the flat at the Can studio in Weilerswist in 2007, which is where Holger himself was found dead on September 5th – just 2 months after Ursula. He had been ill himself for the last year or more and he and Ursula had largely withdrawn from the world. He was planning to move back to his flat in Cologne after her death and I was hoping that he could devote some time to music again but the strain was too great. One of the few times I worked in the studio with Holger was captured on the Can DVD from 2003. Despite the tales of irascibility, he was a pleasure to work with: funny, avuncular, chaotic and most of all more interested in ideas rather than the technology. The various strands of his life and character made him absolutely unique. Although I’d bumped into him in Cologne years earlier, my first conversation with Holger was at the Kensington Hilton back in ’97. Can were in London to promote the Sacrilege album of remixes and I had been summoned to meet Irmin Schmidt with a view to working with him on his opera Gormenghast. I was wearing a Nike waterproof with AIR emblazoned on it. Holger came over, prodded the word on my jacket and said, “It should say ON AIR”. Thank you Holger – I hope I can still live up to that without you.